Is Your Kitchen Turning Into a Relic? 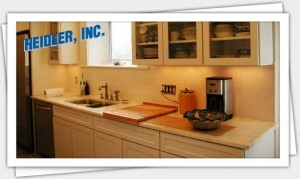 When you choose to do a kitchen remodel, you are choosing to make the most of your home. Not only are you increasing the value of your home, but it can make the kitchen much more comfortable and reflect the way you truly live. 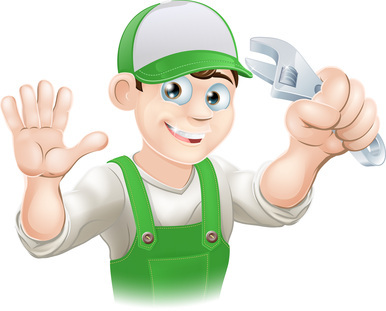 It is very important during this major step in home improvement to hire a plumber to ensure that you are truly happy with the end result. A kitchen remodel usually involves new appliances, countertops, cabinetry and flooring. Hiring a plumber to assist with the project means that you can move sinks to better locations, easily have the water to the ice maker on your refrigerator plumbed, and also have gas appliances safely disconnected, reconnected, newly installed or even moved. When working with either water or gas lines, you need to have someone knowledgeable to help you determine the best place and the safest way to achieve exactly what you are hoping to have in the end. A plumber will inspect all of the current lines to make sure that they are safe and show no signs of corrosion or damage. If there are problems, a plumber knows exactly the best way to fix it before it becomes trouble down the way. They can help you plan the new design and layout of your kitchen, maximizing efficiency and minimizing potential glitches which leads to actually spending less money and getting the best remodel possible. A certified plumber can help you with the gas lines by moving them, making them longer or shorter if you are moving the appliances, and running new lines into the kitchen if you have chosen to do something as switch out an electric range with a gas range. They have the equipment to pressure test the lines and make absolutely certain that they will not give out on you or leak. Also, very important, they will also make sure that there is enough gas going through the lines so that you don’t have trouble with the new appliances. Hiring a certified plumber during a kitchen remodel may seem silly if you aren’t moving any lines, but the satisfaction of knowing the existing lines are safe and solid truly completes any remodeling job. Are you looking to turn your Annappolis kitchen into an exquisite space for culinary creations? Call Heidler, Inc. at (410) 268-7191 for the plumbing help you need to make this dream come true.